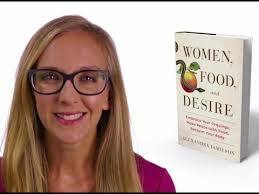 This is a non-fiction book by “transformational health expert” Alexandra Jamieson. Jamieson is probably best know as Morgan Spurlock’s vegan girlfriend in the documentary, Supersize Me. This book is definitely directed at women only. The main point of the book is that we must get in touch with our true desires. Otherwise we will fill that need with food or other unhealthy substances. Jamieson backs up her dialog with scientific studies and nothing in the book is controversial. It is also surprisingly thin on details. Don’t look here for recipes or dietary guidelines. If you liked Eat, Pray, Love you may like this book, although Elizabeth Gilbert is a more talented writer. This entry was posted on March 20, 2015 at 3:32 pm and is filed under Adult Readers Advisory, Non-fiction. You can follow any responses to this entry through the RSS 2.0 feed. You can leave a response, or trackback from your own site.